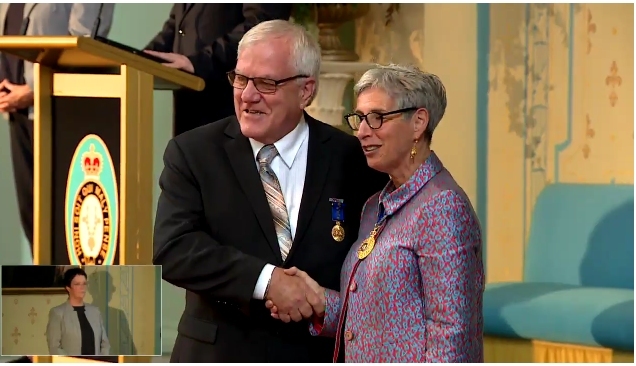 With a CV that includes five terms as mayor, treasurer of Goulburn Valley Primary Care Partnership, board member of Goulburn Valley Health and president of the Tallygaroopna Recreation Reserve Committee, it is easy to see why he has been recognised for his service to the community. ‘My initial response was, ‘wow, what does it all mean?’ — you get a little bit reflective looking back on your career,’ Mr Hazelman said. 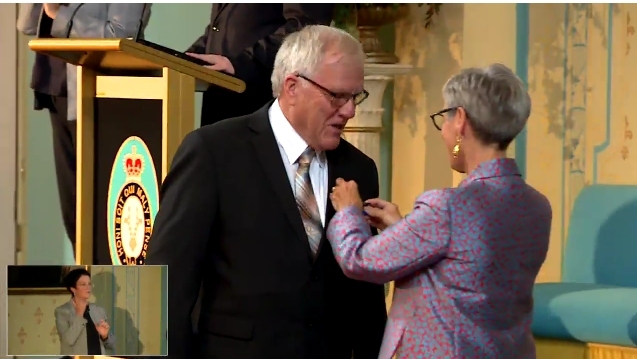 The current City of Greater Shepparton councillor said his stint as mayor from 1998 to 2002 was one of the most rewarding times of his career and one which oversaw significant changes to the municipality. Not long before securing the role, Greater Shepparton City Council was formed after merging the shires of Rodney and Shepparton with the City of Shepparton. This merger brought new structures and processes and was one which involved developing a truly representative group of councillors. In 2006 Mr Hazelman began working as the manager of the Ethnic Council of Shepparton and District, a role which he said now filled most of his days. It is evident Mr Hazelman is passionate about his work, speaking highly of the thousands of refugees and migrants he has worked with upon their arrival in Shepparton. ‘The challenges there and the people you’re both working with and for is incredibly rewarding,’ he said. 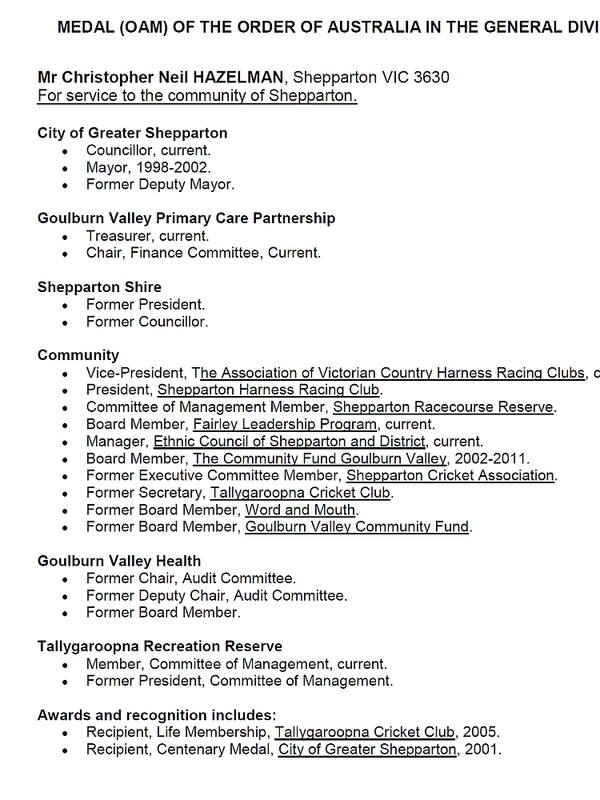 With an extensive list of community positions, including president of the Shepparton Harness Racing Club and time spent on the board of Word and Mouth, The Community Fund Goulburn Valley and Fairley Leadership Program, it is evident Mr Hazelman values his time in the community. He said Shepparton’s disadvantage due to a lack of state and federal resources had driven a number of his community projects, and stressed the importance of reducing the imbalance between regional towns. ‘Projects and issues that I have been involved in over the years have been driven by the fact that the perception, if not the reality, is Shepparton has not got its fair share of state or federal resources,’ Mr Hazelman said. 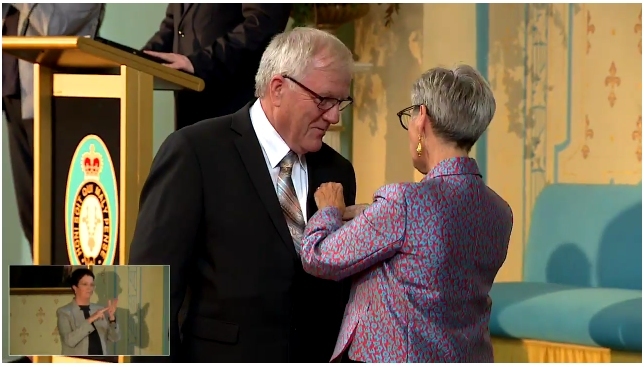 Receiving life membership at Tallygaroopna Cricket Club in 2005 and a recipient of the Centenary Medal for the City of Greater Shepparton in 2001, Mr Hazelman is passionate about community work and volunteering. He encouraged people to get involved with their local sporting clubs and smaller organisations which continually struggle to find support. While reflecting on his most recent achievement, Mr Hazelman said he could name a number of local leaders who deserved to be recognised, stating the experience had encouraged him to rethink our culture of acknowledgement. 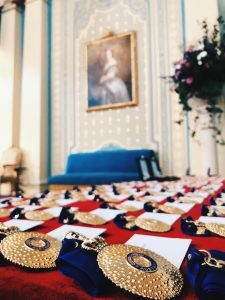 ‘When I got notified I could think of a dozen people I could name that deserve to be recognised, and you think, ‘oh well, there’s probably the scope there to develop a culture of community recognition,’ he said.